California Police Chief: Slain Rookie Officer was "Perfect Cop"
Chief Darren Pytel said that police work was "truly in her blood," adding that he had placed a bet that one day she'd be the police chief. In an emotional tribute, the chief of the Davis (CA) Police Department called the young officer who was ambushed and killed earlier this month a "perfect cop." Thousands of people gathered in the athletic arena on the campus of UC Davis on Friday to remember the service of 22-year-old Officer Natalie Corona. "I know what it takes, and she had it," Pytel said. 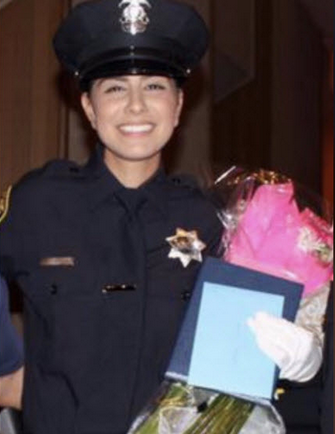 A rising star in the Davis department, Corona graduated from the Sacramento Police Academy in July and had completed her field training in December, according to NBC News. Officer Corona is survived by her mother, her father, and three younger sisters.